Our RAP dual stage venous femoral cannulae is designed to drain from both the superior and inferior vena cava with full flow drainage capability. Available in 22/22 Fr and 23/25 Fr sizes, this cannulae features a high quality, soft introducer for a smooth transition to the cannula resulting in easier insertion and reduced vascular damage. 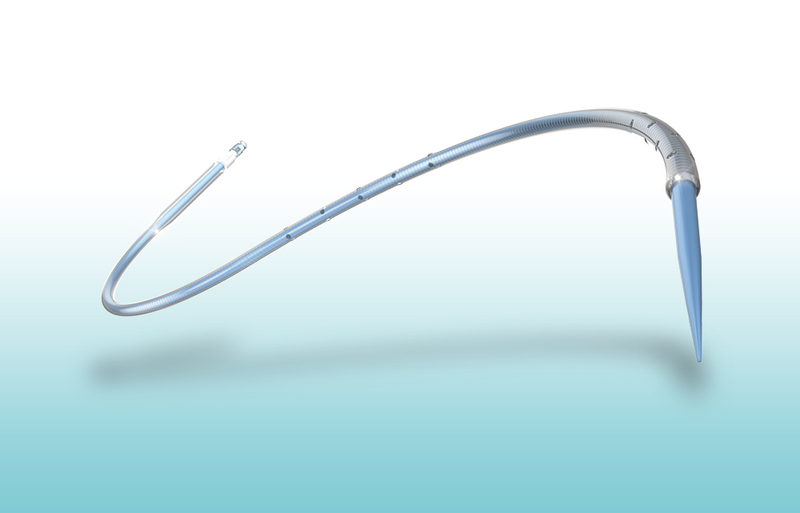 The dual stage tip design provides excellent drainage without the need for a second cannulation site, and without interfering with the atrium, which is especially useful in mitral valve procedures. RAP cannulae are also available for percutaneous insertion via the Seldinger technique.